For information on each dimension of wellness above please click on the corresponding area of interest in the menu. 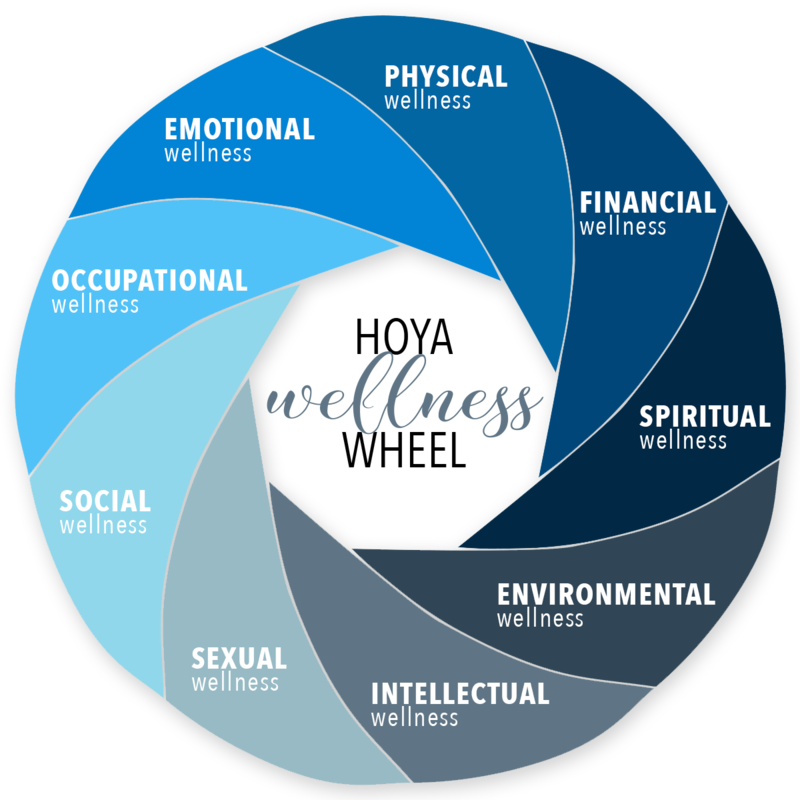 The HOYA Wellness Wheel provides a visual representation of the nine dimensions or areas of an individual’s life that contribute to their overall health. These dimensions are comprised of common characteristics and behaviors associated with wellness. Additionally, the Wellness Wheel serves to outline resources available on Georgetown’s campus that will further address these needs. Assessing how these nine dimensions affect your life can encourage you to make healthier choices to promote a more robust, sustainable lifestyle.